Morning Constitutional: How Large Will OSU's 2020 Recruiting Class Be? Morning Constitutional: How Large Will OSU’s 2020 Recruiting Class Be? Today’s Topic: How Large Will OSU’s 2020 Recruiting Class Be? 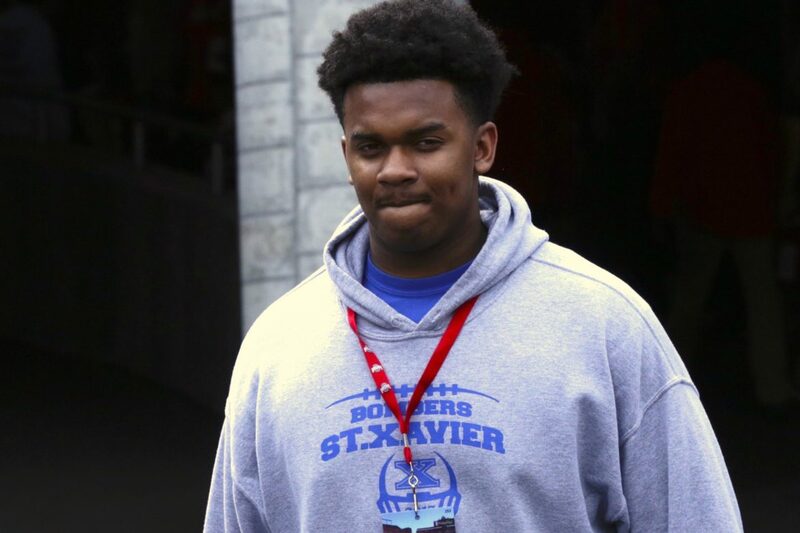 Ryan Day has pointed Ohio State’s 2019 recruiting focus on a few offensive linemen to close out their efforts in this cycle, but he and his staff have also spent plenty of time working on the 2020 class as well. On Thursday, Day and defensive assistant Greg Mattison were recruiting in Michigan, touching base with coaches and making themselves known throughout the state up north. The Buckeyes will have a small class in 2019, and it is almost entirely wrapped up. They are currently sitting at 15 signees, with the off chance of adding maybe three more or so. If they do only make it to 18, it would be the first time since 2010 that Ohio State signed fewer than 20 players. In both 2008 and 2010, the Buckeyes signed 18 players. The smallest class they signed in the internet era (since 2002) is 15 in 2007. They should be above that in 2019. With the number being so small in 2019, the law of averages states that the 2020 class should bring a bit of a bounce back. More responsible for the number of 2020 signees, however, is the number of departures following the 2019 season. 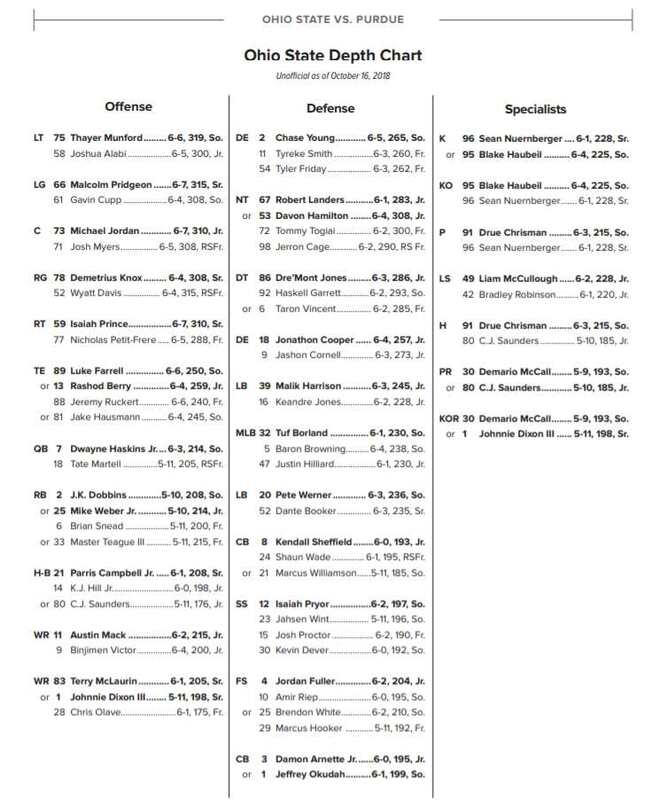 Currently, there are 18 seniors on the Buckeye roster, which will free up 18 spots. Ohio State only lost 9 seniors from the 2018 team, which tells you why the 2019 class is so slim. As they do every year, Ohio State will also lose some underclassmen early to the NFL and to the transfer portal next season. How many is always a guess, but if you start at six, you probably won’t have to move too much. I have been told to expect a larger number of transfers than normal over the next six months, which isn’t unusual given the coaching changes going on. Because the Buckeyes are currently at 85 scholarships, some of those transfers will be needed in order allow any further additions to the 2019 class. The rest of the openings, however, will go towards the 2020 class. Already, there are six verbal commitments in Ohio State’s 2020 recruiting class, which would put them nearly a quarter of the way done with 11 months to go until signing day. I would expect around 20 new names to get added to the commitment list over the next year with the usual decommitment or three to occur as well. When it is all said and done, combining the 18 seniors with the three or four early draft entrants and the annual transfers, Ohio State’s 2020 signing class could be around 25 players or so if Ryan Day and his staff want it to be.